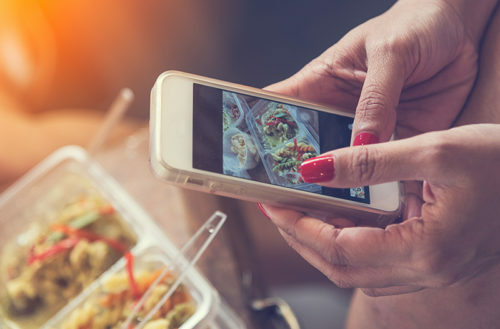 Talking about social media use with other like-minded nail techs brought forward lots of questions, namely “what am I doing wrong?” There was a lot of discouragement, and some shrugging of shoulders about social media in general. Some techs expressed that they “do it just to do it,” because it’s expected of them. In the Facebook groups, I’ve seen questions about which platform to use, and if they have led to more clients for others. 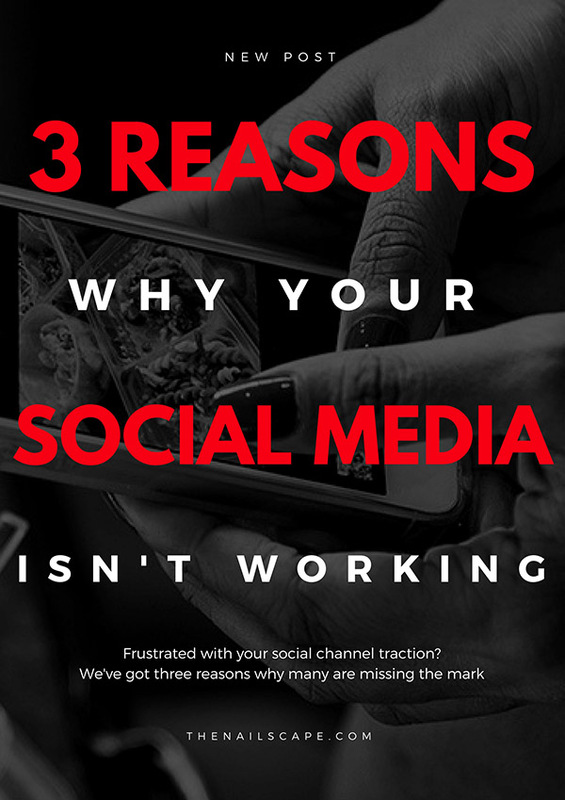 The prevailing notion is that there is a lot of confusion about how to use social media in our industry, so I’ve compiled the top three reasons your social media isn’t working. You would be surprised how many nail techs don’t have a goal when it comes to using their social media channels. I liken it to trying to use your GPS without entering a destination in first. You’re driving around, trying different routes, but you’re not really sure which way to go, or how to go about getting to your destination. You’re making turns and working hard, but you don’t have a lot to show for it. Want to know more about setting a goal? We have more on this topic here. We’ve all been there. It’s 11:30pm and you realize you haven’t posted anything in a few days. In an effort to appear like you’re alive and working, you post a photo of every set of nails you have done in the past three days at once. The “Instagram image dump,” as I like to call it, comes off as lazy and insincere. Spamming others’ timelines shows how little you’ve actually thought about what you’re doing on social media. You’re not posting consistently, and you’re wondering why you don’t have a lot of followers/clients? An inconsistent message on social media reflects a sloppy, inconsistent nail tech, whether that’s the case or not. Shiny, oil-covered fingers, piled up against a plain dingy white towel in a dimly lit salon with giant lines of light across each nail, distracting and disguising the nail art. Lovely photo, isn’t it? Or, you take a photo of your client’s hands, and there is nail dust and dirty implements on the sides of the photo – not cute. 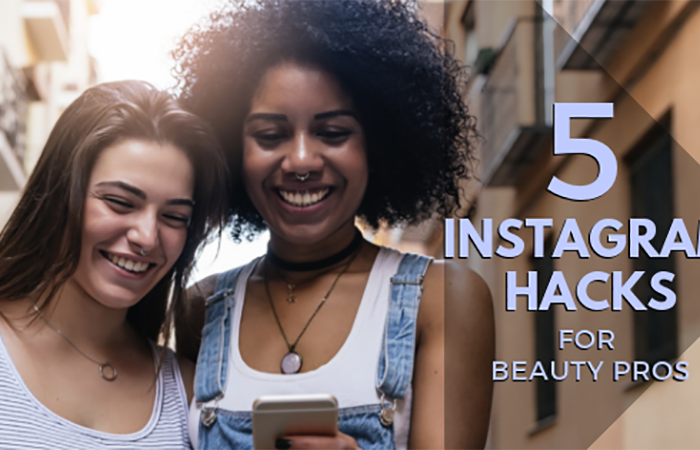 Before you post anything online, ask yourself, “Does this photo entice new clients to book with me?” If the answer is no, then tweak the photo in a photo editing app, or just don’t post it. I like to use Snapseed, PS Express, VSCO, Color Story, or Instagram to edit my photos before posting. For more info on taking better photos, we’ve broken it down here. Posting the best photos of your work, edited to reflect reality, is key to building your clientele through social media. What do you think? Are you guilty of any of the above? 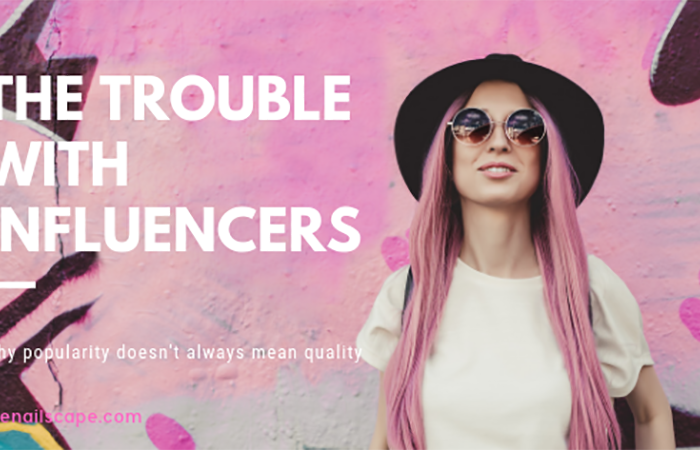 I understand that social media is not one size fits all, but in my travels around the online industry community, I’ve taken note about what top industry accounts have in common, and what many nail techs aren’t doing consistently. 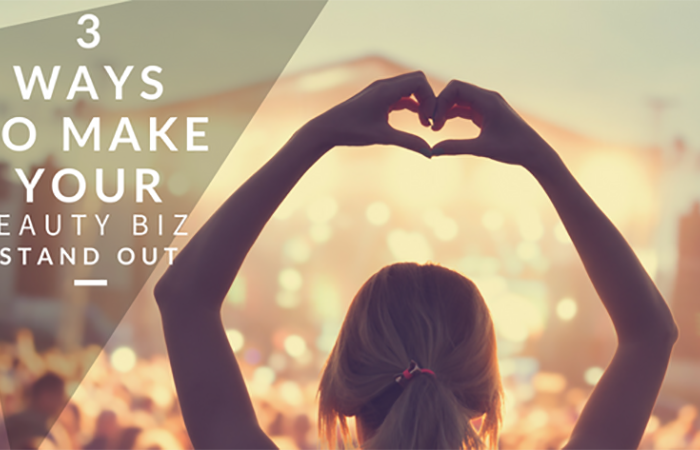 Using the three strategies laid out above, you can counteract the hopelessness that comes along with not knowing what to change to make your social media work for you. If you’re on the West coast, come see me speak on social media this weekend (April 9-10, 2017) at the Cosmoprof Spring Style show in San Jose, CA. I’ll be doing five, one hour classes called “Nail It Online” and going in depth about how to make your social channels work harder for you. Ashley Gregory is an award winning, in-demand session manicurist whose work is inspired by fashion and art. 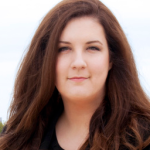 Ashley's work has been featured in international publications and local media. She has worked backstage as a lead manicurist at Mercedes-Benz Fashion Week, with celebrity clientele, and on various film and television projects.